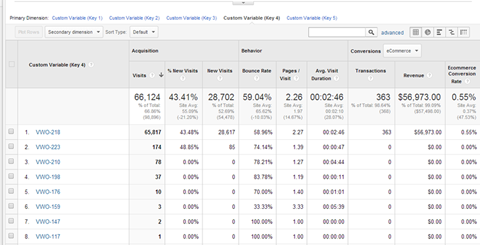 Google analytics is the pillar of many digital marketing activities. It effectively turns marketing from an art form into something more like an engineering process and gives marketers true insights about the effectiveness of their campaigns. But most people are only scratching the surface of this powerful tool. This article shows several ways to get more out of it. If you are hosting your own blog, chances are you’re using WordPress and the easiest way to integrate Google Analytics to your blog is by using the de-facto Yoast plug-in. This free plug-in gives you access to advanced features like outbound clicks tracking and internal redirects tracking. As the administrator, you can also tell it to ignore traffic from you or other colleagues working on the blog and track 404 pages. Yoast has a premium version that offers more advanced features like views per author, per post type etc. Having all these numbers from Google analytics can get confusing very quickly so it is good to get a tool like Cyfe to help you create dashboards and thus lets you visualize your data in a friendlier way. 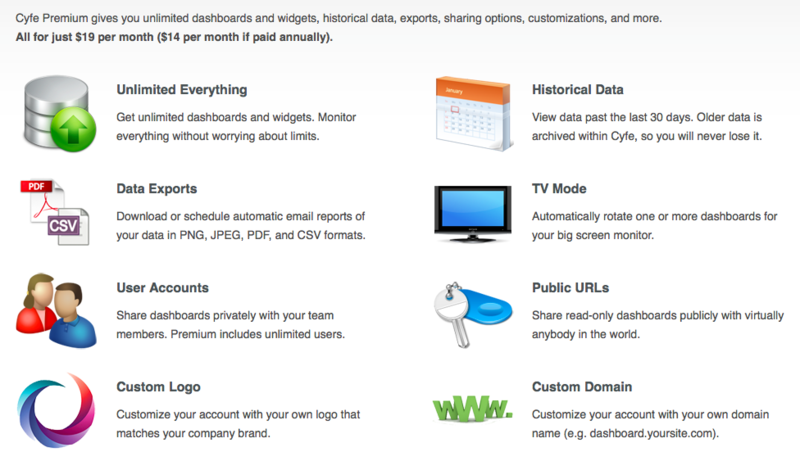 The premium version is $19/month and for that you get unlimited dashboards, historical data and customization. conversions, traffic sources, bounce rate and locations. You can use Cyfe to display a comparison view for multiple websites, giving you an overview of all your assets. If you do email marketing, you can get additional insight by connecting in to Google Analytics. Email marketing tools like Mailchimp, Vertical Response, and GetResponse let you track traffic from links in your emails to a campaign site. 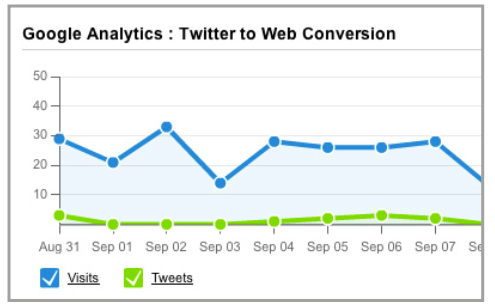 Twitter to Web Conversion: This let you see from end to end how your Twitter engagement is converting followers into sales. See which tweet resonates with your audience and adjust accordingly. Regional Site Traffic: Lets you see which countries or region is contributing the most results and so determine how you geo-target your messaging. Top Content: Discover which content type works best for which audience. 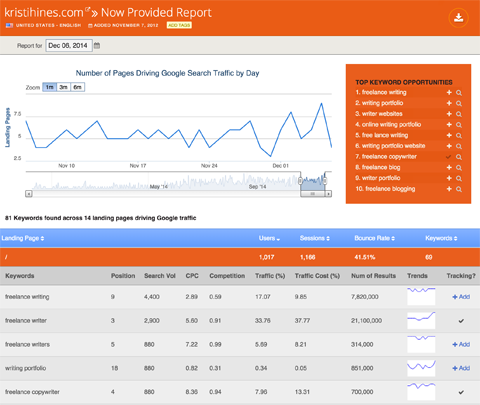 Traffic source: Discover who your biggest contributors and influencers are. Hootsuite also provides custom reports at $9.99 per month. 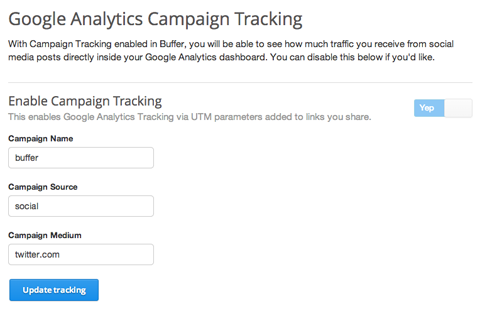 With Buffer, you can customize your UTM tags each time you publish updates through Buffer. 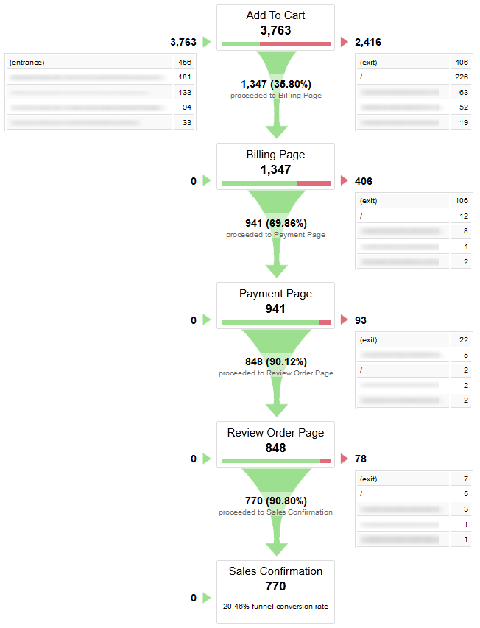 This makes sure that your UTM tags match your updates. 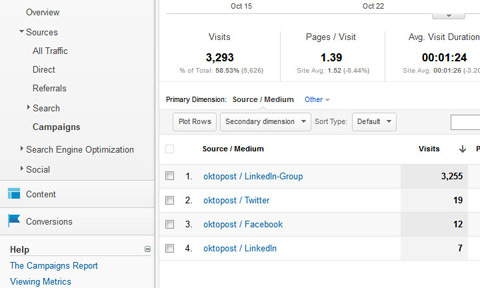 Oktopost allows you to set Google Analytics to automatically add UTM tags to any link you publish from Oktopost. This feature comes with a $49/month price tag. If you sell things online through services like Shopify or Magneto, you can also integrate these services with Google Analytics to get a truly end-to-end tracking from marketing to sales. Shopify and Magneto provide detailed step by step instructions on how to do that. Once you do that, you will have access to the Ecommerce Overview report that summarizes your ecommerce conversion rate, transactions, revenue, average order value, unique purchases and the quantity of product units sold. There is also an Enhanced Ecommerce feature that gives you behavior analysis, coupons and affiliate codes. 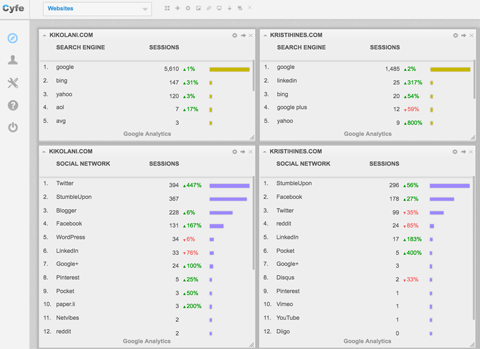 Google Analytics has removed keyword data but various tools like AuthorityLabs are trying to recapture that data. With Authoritylabs, you can monitor your search engine rankings and integrates with Google Analytics to find out which keywords are responsible for driving traffic to your campaign. One common take-away from this information is better optimization of landing pages to cater for users looking for specific keywords, thus reducing bounce-rate and improving relevance and ultimately conversion. If you are serious about website optimization, you should be familiar with A/B testing methodology. Essentially this methodology is frequently used to test changes to landing pages, sign-up forms, registration pages and call-to-action where improvements can be made to streamline the customer’s journey and conversion. 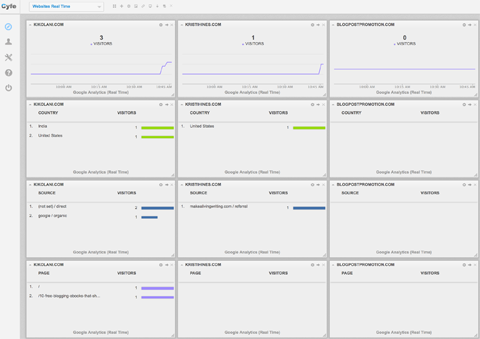 Tools like Visual Website Optimizer and Optimizely can be integrated with Google Analytics to track your traffic and performance.